Registration is now open! 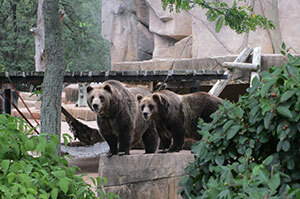 Join us for Bearhavior: Applying behavioral research to the management of bears in Wisconsin, hosted by the Milwaukee County Zoo. A post trip to Madison’s Henry Vilas Zoo will be offered after the meeting on May 11. Hope to see you all Bear!